Armor Protective Packaging® (ARMOR), an international company specializing in corrosion management, has been honored with the Michigan 50 Companies to Watch Award sponsored by Michigan Celebrates Small Business. The award theme was Unleashing Innovation and Growth and the selection of winners was based upon criteria in market expansion, job creation, technological innovation and community impact. ARMOR has been a stakeholder in the corrosion management field for more than 35 years during which the company has experienced extensive industrial expansion and global reach. ARMOR customers include GM, Ford, BMW, Federal Mogul, Cummins, Brembo, Nissan, Eaton and Siemens. Company sales have grown 76% over three years with 2014 sales approaching $20 million. ARMOR strategically innovated a business-to-consumer division called Workshop Hero in 2009 at the height of a recession that crippled the automotive industry. Workshop Hero’s award-winning product, Metal Rescue Rust Remover Bath, has made major in-roads into the retail sector with placement in all US Home Depot stores and in several large retail chains in Canada. In 2014, in further commitment to its people, customers, and hometown of Howell, Michigan, ARMOR doubled its industrial space by purchasing and re-purposing a former production facility in Howell. 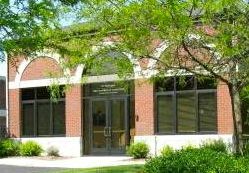 ARMOR International Headquarters is unique, inspiring, and able to accommodate the continued growth projected for years to come. “What an honor it is to be recognized by Michigan’s small business leadership for ARMOR’s growth and efforts. We are proud to be a growing business in this great state and to contribute to Michigan’s economic development in a positive manner,” said David Yancho, Vice President. To learn more about the award program and to view the 2015 Michigan 50 Companies to Watch Award winners visit the Michigan Celebrates Small Business website. 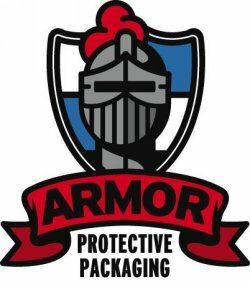 Armor Protective Packaging® industrial and consumer divisions manufacturer and distribute corrosion-inhibiting packaging and corrosion removal products. The company serves Fortune 500™ companies all over the world with its product line of clean, safe and easy corrosion management products and solutions. ARMOR international headquarters are located in Howell, and the company has a satellite location in Canada.